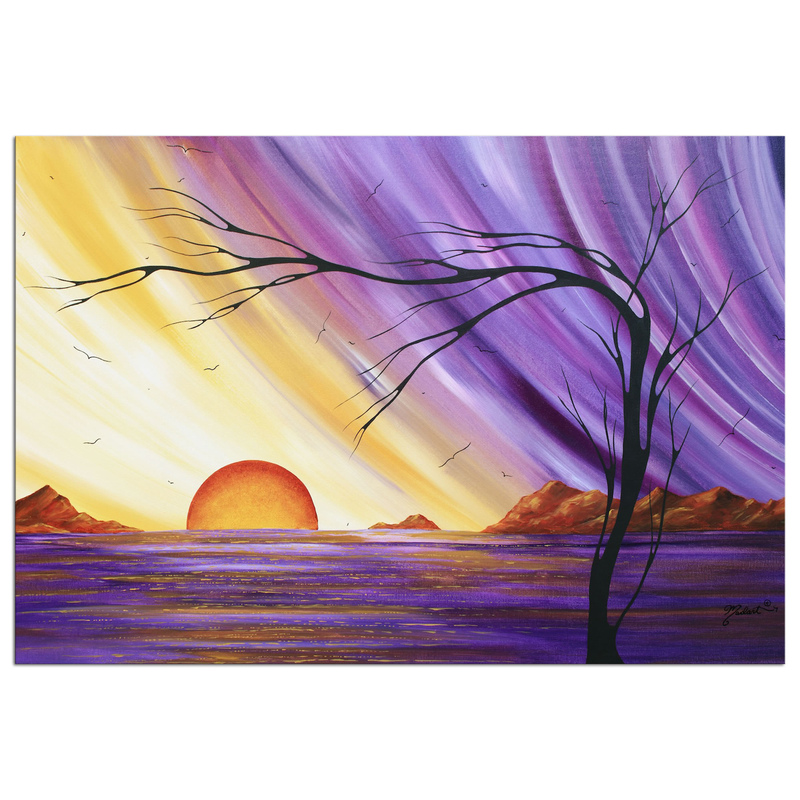 The 'Royal Sunset' oceanside tree painting features a barren winter tree with a supernatural kink, bending over to frame in the gorgeous sunset on the horizon. A lovely violet purple evening sky creeps in as the golden sun sets over the water, between the rocky mountain range in the distance. A flock of flying birds circles in the sky, seeming to chase the setting sun as if to stop its retreat. 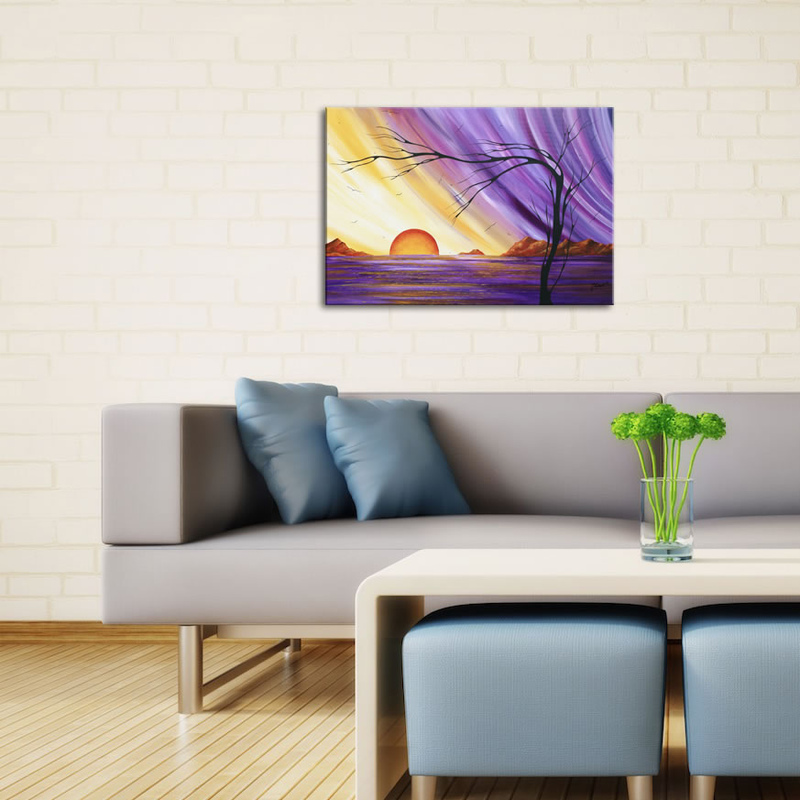 This pretty purple and gold landscape artwork makes a nice modern display with a soft, feminine touch. The striking colors, attractive satin/matte finish and durable metal medium work beautifully in a living space, office, home, restaurant, hospitality, or restaurant display. Megan Duncanson is one of our newest artists to join the Modern Crowd family, with a collection of designs exclusive to our line of fine metal giclees.